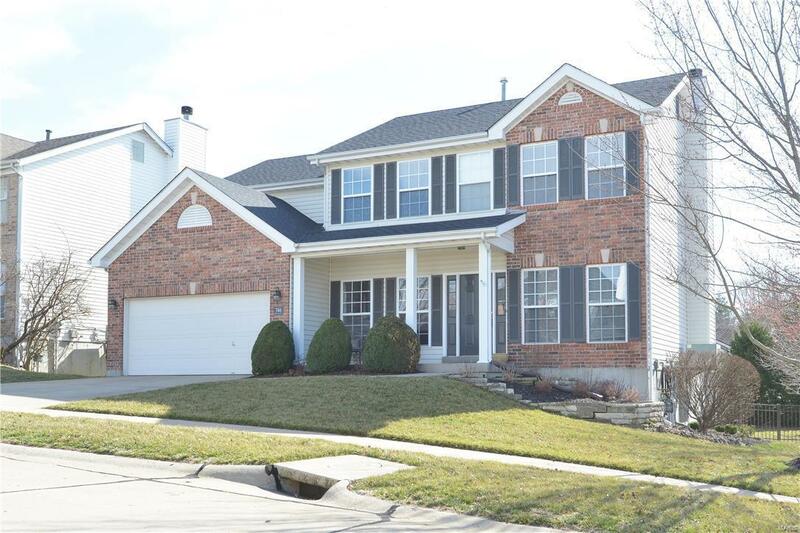 Stunning 4 bedroom, 3.5 bath home in Ballwin and Rockwood School District! This Spacious home with over 3000 sqft. of living space is absolutely Gorgeous! Pride of ownership shows in this 2 story home inside & out. Front entry foyer greets you with the gleaming hardwood floors, Frml dining room with crown mldg and office with lovely French doors. 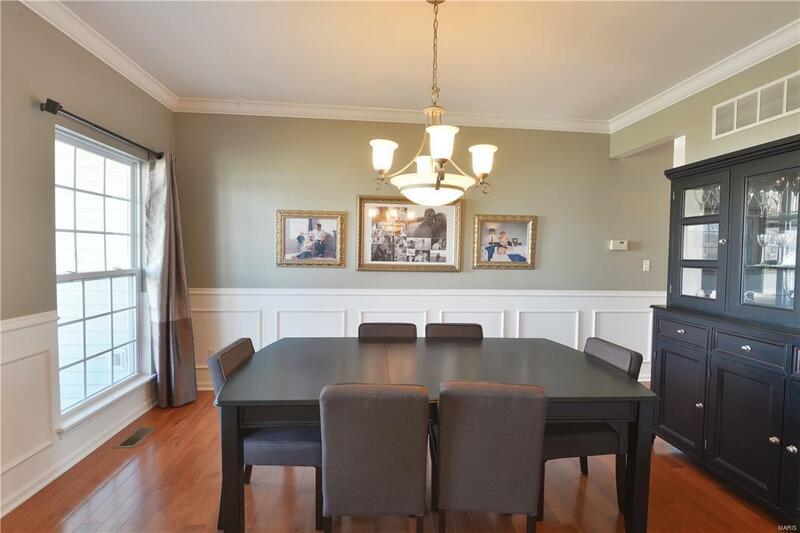 Family room is open & bright with hardwood floors & FP, open staircase between kitchen and family room. Huge updated kitchen with SS appliances, custom cabinets, and more! Large deck off kitchen overlooks the flat, fenced in yard. 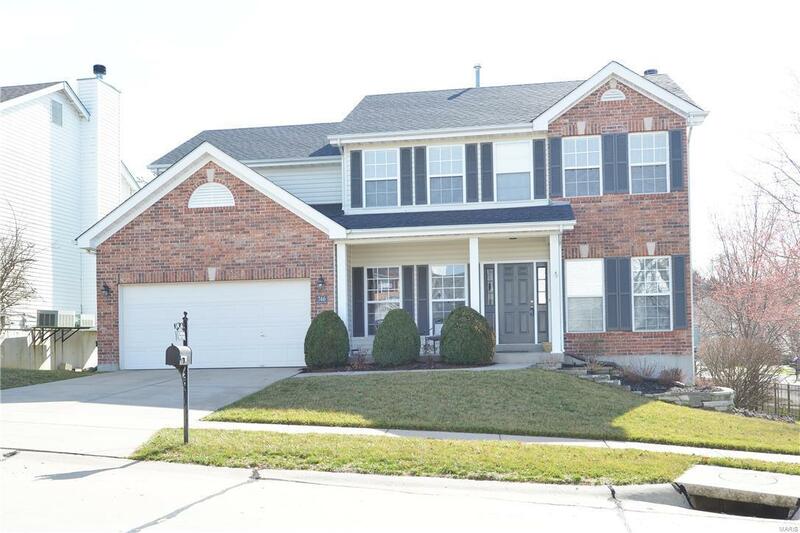 Upper level boasts vaulted master bedroom with sitting room and luxury full bth. 3 other spacious bedrooms & full bth on uppr level. W/O finished LL adds so much extra living space! 2 rec/family areas with full bath. 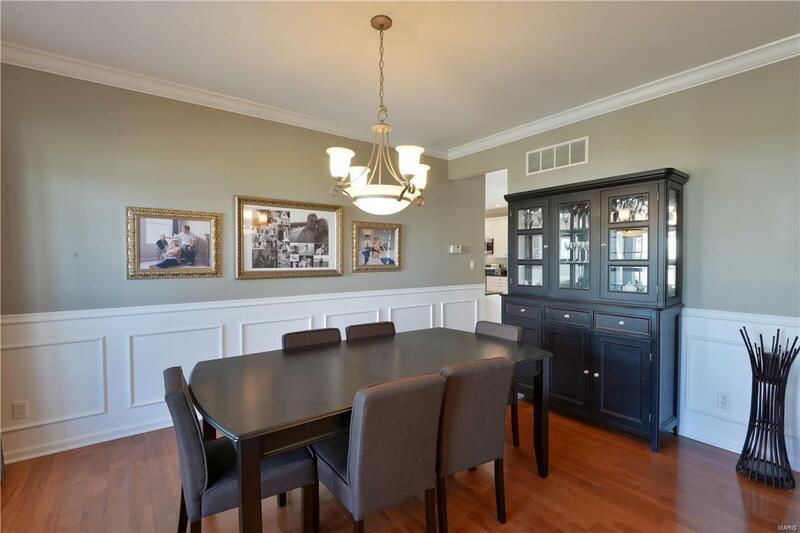 Such an amazing home in a great neighborhood with close access to hwys, parks , shopping and restaurants. Very clean & neutral throughout! OPEN HOUSE CANCELED FOR 4/14.